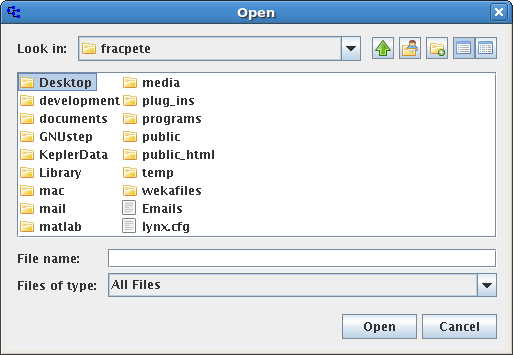 The original VFSJFileChooser is a Java Swing Component which allows you to browse both remote (FTP, SFTP, WEBDAV, etc.) and local filesystems. It is based on Apache Commons VFS library. VFSJFileChooser is distributed under Apache License 2.0.
vfsjfilechooser2 is my fork of the original project, as this hadn’t been maintained for a few years. In the process, I not only updated it, but also extended it (e.g., displaying hidden files, making the glob filter work).